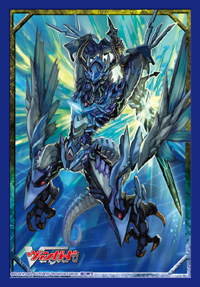 [AUTO](VC) Limit Break 4 (This ability is active if you have four or more damage):[Counter Blast (2) & Choose a card named "Roaring Ripple, Genovious" from your hand, and discard it] At the close step of the battle that this unit attacked a vanguard, if the number of «Aqua Force» you have as [Rest] in your front row is three, you may pay the cost. If you do, [Stand] all your «Aqua Force» rear-guards. 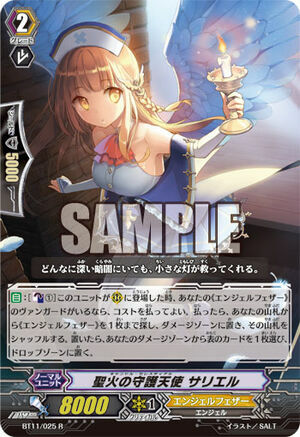 [CONT](VC):If you have a card named "Rising Ripple, Baorus" in your soul, this unit gets [Power]+1000. 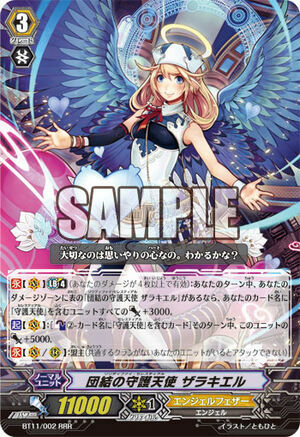 [AUTO](VC) Limit Break 4 (This ability is active if you have four or more damage):When this unit's drive check reveals a grade 3 «Tachikaze», choose one of your rear-guards, retire it, and this unit gets [Power]+10000 until end of that battle. 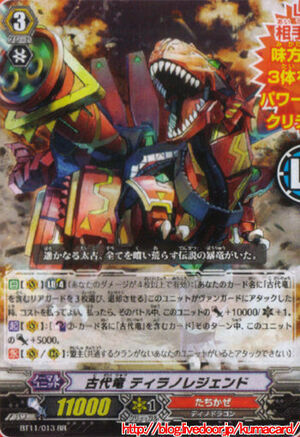 [AUTO](VC):When this unit is boosted by a «Tachikaze», this unit gets [Power]+3000 until end of that battle.